Amber R. Duell happens to be one of my favorite authors, not just because she is insanely talented but also because she’s great to talk to. So, pour yourself some tea or coffee as we learn a little more about the clever author! 1. What do you believe are some challenges that are faced while writing Young Adult Fantasy? I think the biggest challenge is that the market is saturated with YA fantasy so you need to check a lot of boxes to make it stand out in the crowd. 2. 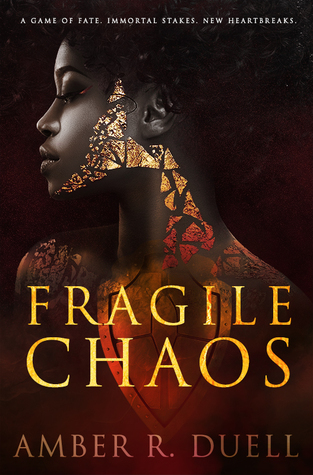 What character do you relate to the most in Fragile Chaos? Brisa, the Goddess of the Sea. She’s on friendly terms with all of her siblings and is willing to stand up for them while also telling them when they’re being stupid. 3. Do you have a playlist for the book that we can listen to? 4. If you could have any celebrity play as the characters who would they be and why? Zendaya for Cassia! I haven’t found the perfect Theo yet, but I’m open to suggestions! 5. What book do you think has influenced your writing? The Winner’s trilogy. Every time I’m feeling super uninspired, I reread some of it. 6. When do you usually write? At night after everyone’s gone to bed so I can concentrate. 7. What are your top 5 favorite books? The Winner’s trilogy, The Cruel Prince, Alienated, A Court of Mist & Fury, and The 10th Kingdom. 8. Are you currently working on anything else? I’m working on the second book in my Dark Dreamer trilogy right now. 9. What inspired you to write Fragile Chaos? I read an article about a 500-year-old mummy that had been sacrificed to the gods. It made me wonder what this 15-year-old girl thought was going to happen to her—if she expected to see gods on the other side or if she was scared there would be nothing. 10. And lastly, Aries or Hercules? In case you missed the other times Amber was featured on BSR, here are some links! Fantastic answers! 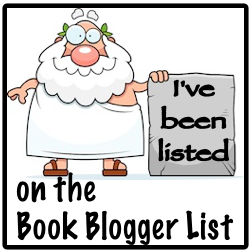 Thanks so much, Amber, where can readers find more about you and your books? About Amber R. Duell: Born and raised in a small town in Central New York. While it will always be home, she’s spent the last six years living in Germany, Maine, and Mississippi as a military wife where the next step is always an adventure. A god of war seeking restoration. An unwilling sacrificial bride. Betrayal that could destroy them both. Every fiber of my being is woven from the rage of mortals. I loved Kisk once; it was my home… But that was before. This is now.